Nov. 23, 1891                       Carthage, Indiana. That are unforbidden and sweet. 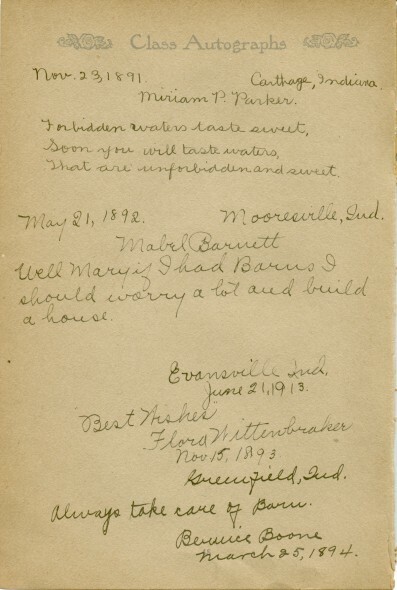 May 21, 1892                   Mooresville, Ind. Always take care of Barn.